Shichi-Go-San (七五三 or “Seven-Five-Three”) is a traditional rite of passage and festival day in Japan for three- and seven-year-old girls and three- and five-year-old boys, held annually during the month of November (mainly on November 15) to celebrate the growth and well-being of young children. 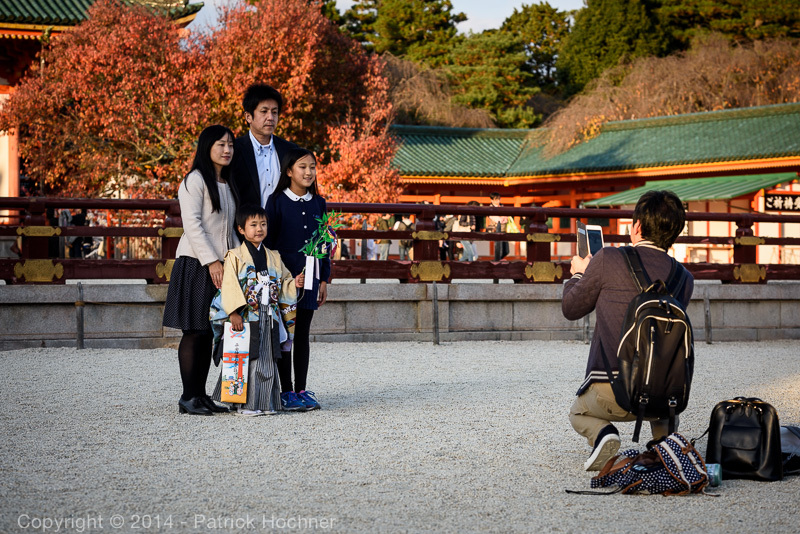 Family usually visit their Shinto shrine on the weekend with the kids dressed up with beautiful kimono. 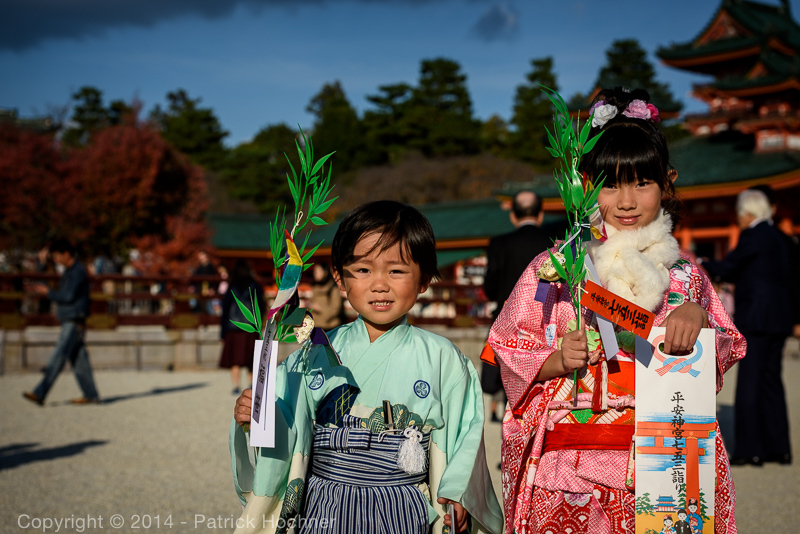 Shichi-Go-San is said to have originated in the Heian Period amongst court nobles who would celebrate the passage of their children into middle childhood. The ages 3, 5 and 7 are consistent with East Asian numerology, which claims that odd numbers are lucky. The practice was set to the fifteenth of the month during the Kamakura Period. I particularly like to visit a Shinto shrine during this period because these kids are so cute in their new beautiful little kimono.